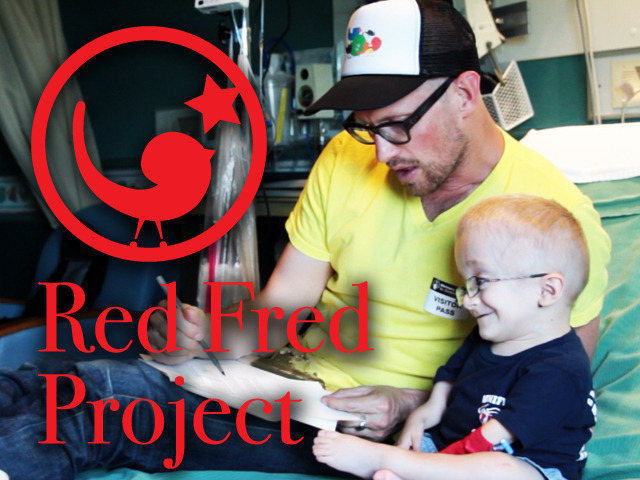 The Red Fred Project finds children living in extraordinary circumstances and asks them the question: If you could write a book for the entire world to read, what would it be about? The books use photography, graphic design, story-telling techniques and star a likable group of birds made from commas and exclamation marks called The Jolly Troop. Why are we doing this? These creative kids have faced significant challenges in short lifetimes—with humor, compassion and wisdom-filled stories to share. We want to know how they view the world and help them create an original, one-of-a-kind book, publish it, place it in their hands and say, "Way to go! You've published a story; you've created a book!" We will studiously and gratefully select a child (a “Creative”) from each state and make him or her the creative boss in the story and book-making process; I’m just there to bring the story to life through photography, design and The Jolly Troop. The child will meet with me a number of times to complete creative tasks that will result in his or her published book. The book then becomes many magical things: a lasting voice for these children’s beautiful stories; a tangible achievement for each child; a way to help families with medical expenses or a related cause chosen by the child. You see? The magic multiplies, lives on forever – readers are inspired by the wisdom and imagination of these children. The parent(s) will also be given charge of the book's future. They are welcome to keep the few we give them at the completion of the project, to order several more for their family and friends, or to use it for fundraising purposes for their child's treatments. In any respect, the story conjured and created by this significant child will become an object of incredible value. This Policy applies to information we collect on this Website and in email communications between you and this Website. It does not apply to information collected by us offline or through any other means, including on any other website operated by us or any third party, or any information collected by any third party through any application or content that may link to or be accessible from or on the Website. YOUR USE OF THIS WEBSITE, AND CONTINUED USE OF THE WEBSITE FOLLOWING ANY CHANGES TO THIS POLICY, SIGNIFIES YOUR CONSENT TO BE BOUND BY THE TERMS AND CONDITIONS OF THIS POLICY. IF YOU DO NOT AGREE TO THIS POLICY, DO NOT USE THIS WEBSITE. We collect and retain two types of information about Website visitors: (i) personal information that individual visitors provide when interacting on the Website, or voluntarily at certain other points (such as via forms, comments, or emails), including, without limitation, when you ask a question, post a comment, subscribe for our email notifications, or otherwise receive news and information about Red Fred Project; and (ii) tracking data, which is automatically collected from every Website visitor (collectively, “Information”). The personal information that we gather may include your name, address, and email address. Also, if you contact us, we may keep a record of your correspondence, including any Information contained therein. 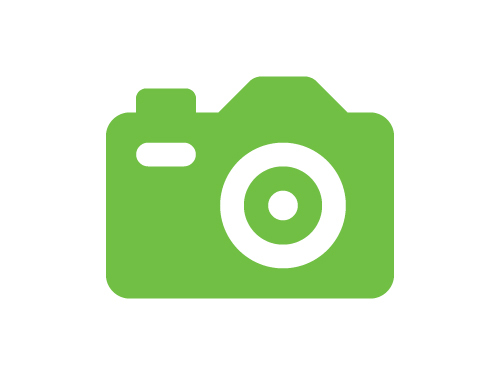 When you visit the Website, certain anonymous information about your visit is automatically captured. This information includes the name of the Internet service provider and the Internet Protocol (IP) address through which you access the Internet; the date and time you access the Website; the pages that you access while at the Website and the Internet address of the website from which you linked directly to our Website. None of this information is personally identifiable. This information is used to help improve the Website, analyze trends and visitors viewing the Website, as well as to administer the Website. If you want to receive our email notifications, post a comment, or suggest a child/Creative on our Website, you will be required to provide contact information. You are responsible for providing current, accurate, and complete information during the submission process. • To provide you with news, information, announcements, products, or services that you request from us. 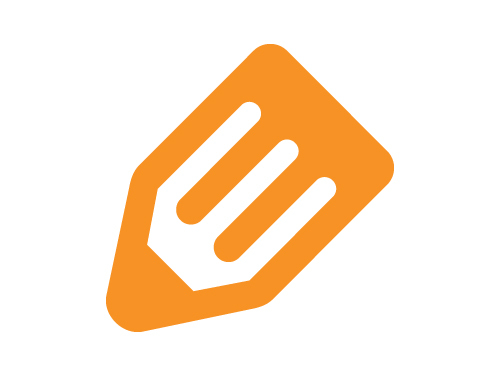 • To provide you with notices about your orders. • For any other purposes with your consent. We may use tracking data for a variety of purposes, including, without limitation, to analyze Website traffic patterns and usage and to help us diagnose problems with our server or other technical issues relating to the performance of the Website. Any reports we may generate from tracking data are used for a variety of purposes, including, for example, improving the Site. We will not disclose any personal Information to third parties, except (i) to parties who perform services for us, as further described below; (ii) when we believe that such disclosure is required by law; (iii) to enforce the Policy; (iv) to protect the rights, property, security, or safety of Red Fred Project, Website users, or the public; (v) to respond to an emergency; or (vi) as otherwise stated in this Policy. Red Fred Project may hire third-party agents or third-party service providers to operate the Website and to perform functions on our behalf, including mailing and delivering materials, answering questions, analyzing data, other administrative tasks, and/or acting as an agent for third party software, content or services. These third parties have access to the Information needed to perform their functions. We seek to limit such third parties to using the Information that is shared with them solely for the purpose of providing such services, however, we cannot be responsible for such third parties’ use of Information not in compliance with this Policy. In addition, we may disclose Information to certain third parties if you have requested or authorized the disclosure of such Information, for example, to complete a purchase. By using the Website, you agree and acknowledge that the Website is hosted in the United States. If you are attempting to access the Website from a physical location within the European Union, Asia, or any other region with laws or regulations governing personal data collection, use, and disclosure that differ from United States laws, please be advised that through your continued use of the Website, which is governed by U.S. law and this Policy, you are transferring your Information to the United States and you consent to such transfer and the terms and conditions of this Policy, including the application of the laws of the United States and/or the State of Utah, as further set forth below. We may use log data — aggregate information — to improve access to our content based on our visitors’ browsers and operating system types to make our content available to as many visitors as possible. We do not link the log data collected to the Information that you submit online while visiting our Website. We take reasonable precautions based on standard industry practices to protect your Information from loss, misuse, unauthorized access, or disclosure, alteration or destruction. We maintain reasonable physical, electronic and procedural safeguards for your Information. You should recognize, however, that there is no such thing as “perfect security” on the Internet and we cannot guarantee the security of your Information. In addition, because Internet communication is unsecure, it is also possible that the information you supply to us or your access of any information via the Website will be intercepted during transmission. WE CANNOT BE LIABLE FOR ANY BREACH OF OUR SYSTEMS OR INTERCEPTION OF OUR TRANSMISSION AND, FOR THE AVOIDANCE OF DOUBT, WE EXPRESSLY DISCLAIM, TO THE FULLEST EXTENT PROVIDED UNDER LAW, ANY REPRESENTATION OR WARRANTY, WHETHER EXPRESS OR IMPLIED, WITH RESPECT TO ENSURING, GUARANTEEING OR OTHERWISE OFFERING ANY DEFINITIVE PROMISE OF SECURITY IN CONNECTION WITH YOUR INFORMATION. Our Website is not directed to people under 13. If you become aware that your child has provided us with personal information without your consent, please contact us at dallas@redfredproject.com. We do not knowingly collect personal information from children under 13. If we become aware that a child under 13 has provided us with personal information, we take steps to remove such information within a reasonable time. This Policy is governed in all respects by the laws of the State of Utah, without regard to conflicts of law provisions. You irrevocably and unconditionally consent to submit to the exclusive jurisdiction of the state and federal courts located in Utah for any litigation or dispute arising out of or relating to this Policy and agree that such courts represent the exclusive jurisdiction for all disputes relating to this Policy. If any part of this Policy is determined to be invalid or unenforceable pursuant to applicable law, then the invalid or unenforceable provision will be deemed superseded by a valid, enforceable provision that most closely matches the intent of the original provision and the remainder of this Policy shall continue in force and effect. If you have questions about our Policy or our use of your Information, or if you need help changing your personal information, please contact us by sending email to dallas@redfredproject.com.